Triple Berry Fruit and Yogurt Pops! YAY! It is almost summer, and that means warm weather and fresh fruit from the garden! My kiddo’s love popsicles, but I hate all of the stuff that they put into them. And lets face it, nothing beats a nice cold popsicle on a hot summer day. 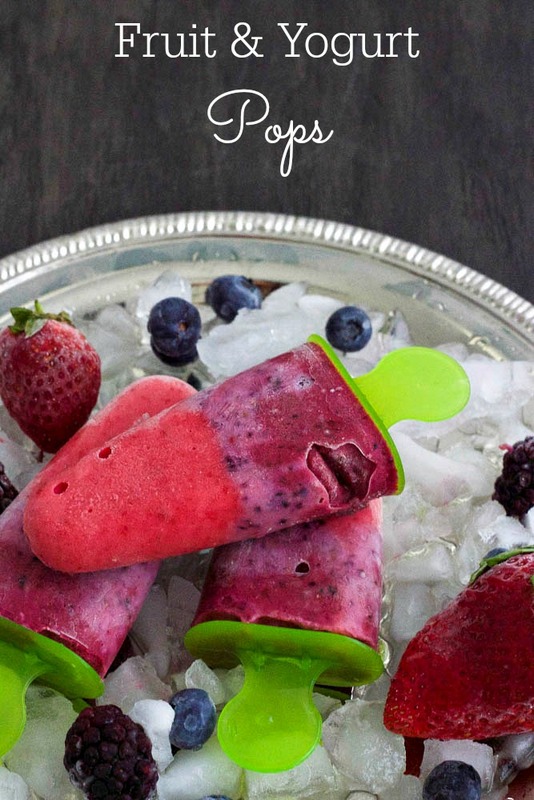 These Fruit and Yogurt Pops are simple to make, and good for you too! Start by pureeing each fruit separately. Mix in 1/3 Cup of greek yogurt into each fruit. 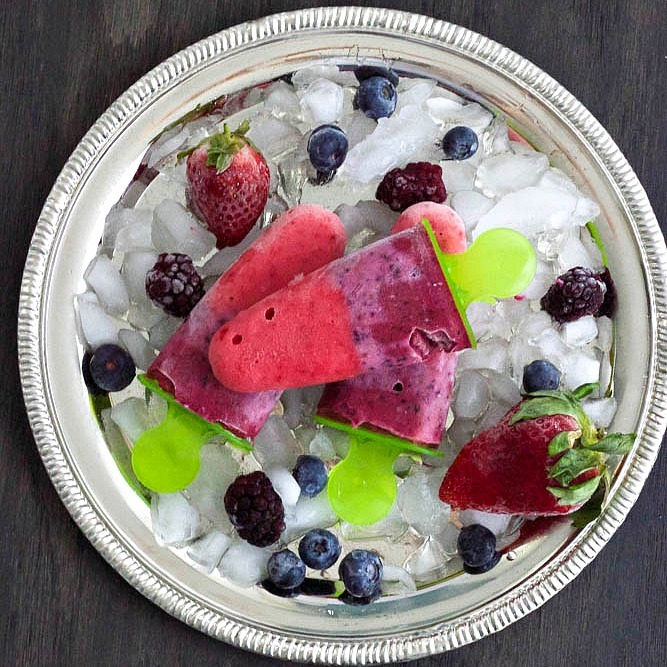 Pour into popsicle mold or small cups and freeze for 5-6 hours. Easter is right around the corner and I could not be more excited! 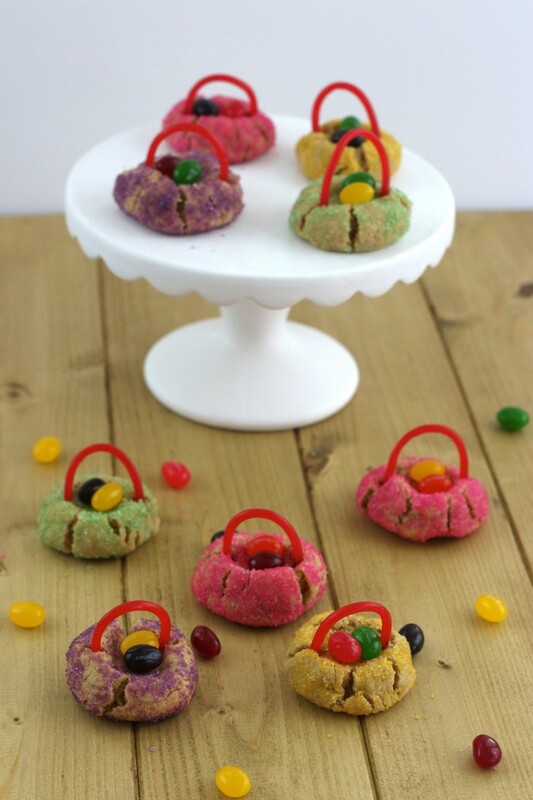 What better way to celebrate than making these super cute Easter Basket Peanut Butter Cookies? 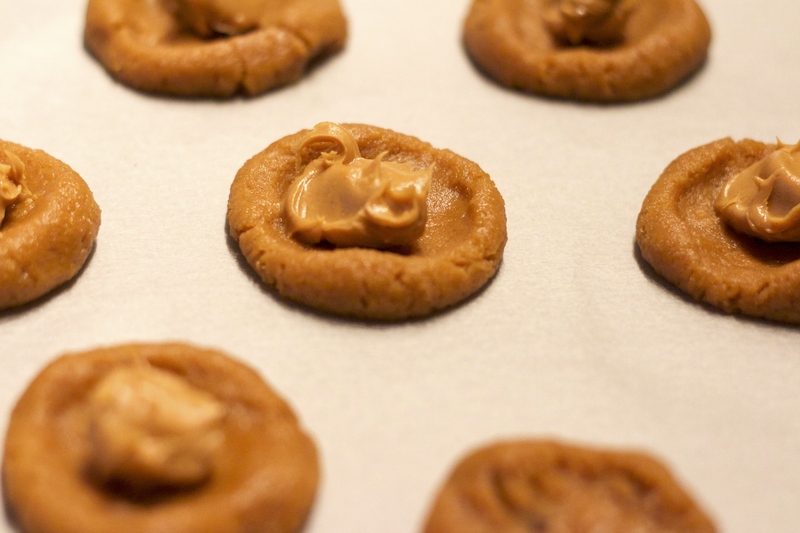 They are simple to make, and are full of peanut butter goodness! Preheat oven to 375 and line a baking sheet with parchment paper and set aside. In a large bowl, combine sugars, peanut butter, shortening, butter, vanilla extract and egg. Sift in flour, baking soda and baking powder. Mix until combined. Pour colored sugar into a shallow bowl and set aside. 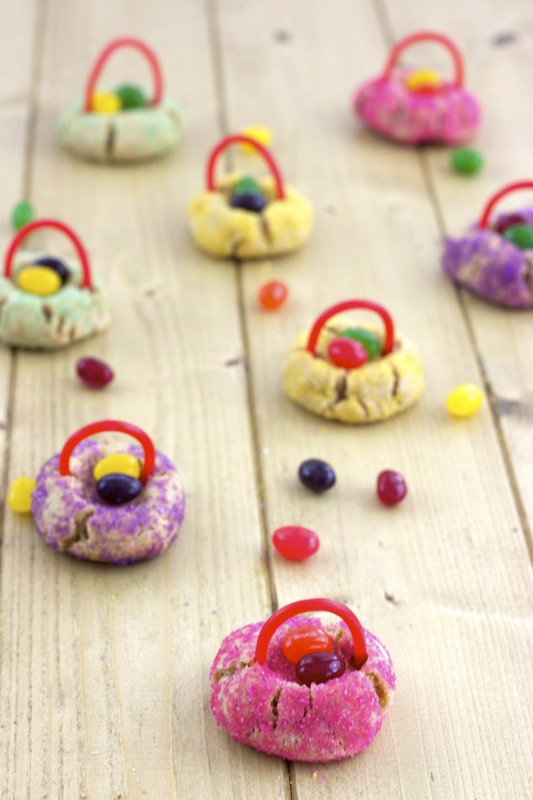 Roll cookie dough into 1-inch balls and roll in colored sugar. Place on lined baking sheet and bake for 8-10 minutes. While cookies are baking, cut rope candy in to 6-inch lengths. While cookies are still warm, place rope candy into cookie to form handle. 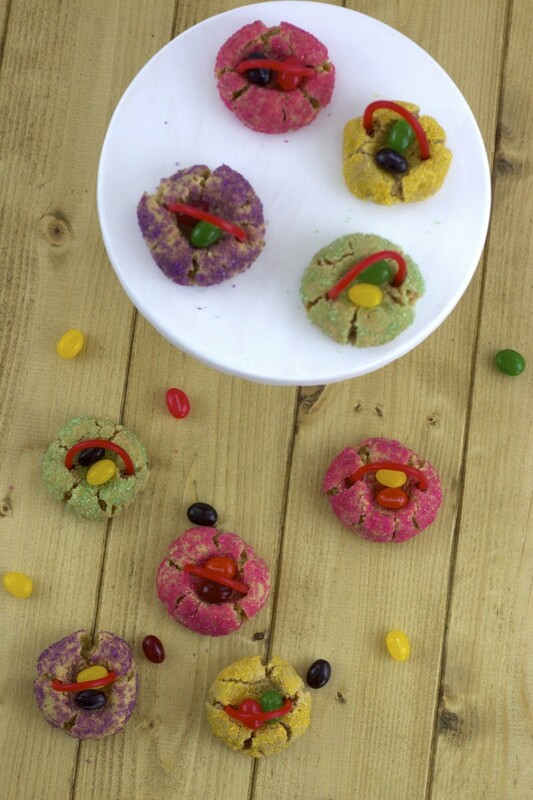 Allow cookies to cool completely before adding in jelly beans. Store in an airtight container on the counter for up to 1 week. 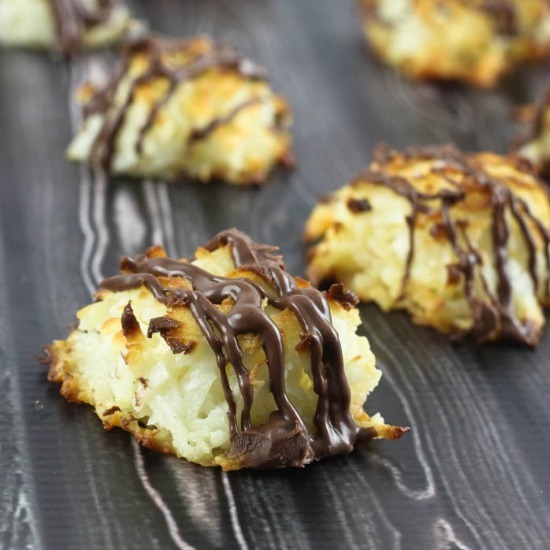 Almond Joy Macaroons! Easy 3 Ingredient Recipe! Do you have a food that you can not live without? 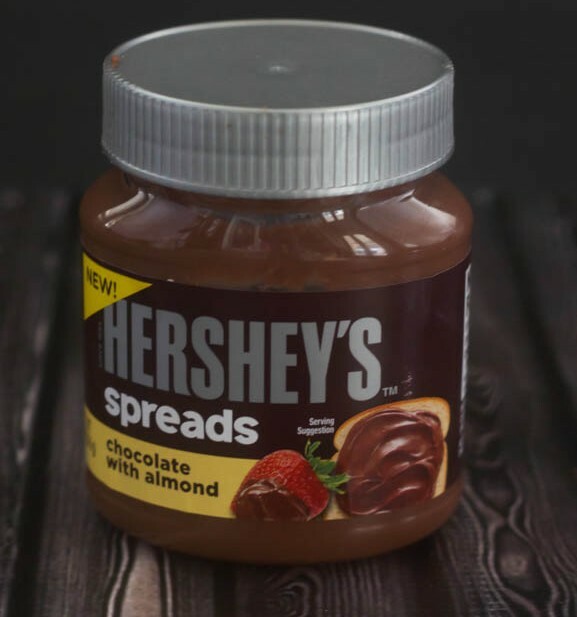 You think about it, crave it and would put it on everything. Well, I like to call that food crack. And, unfortunately, I have a new food crack, something so yummy it will cause our family to fight over the last little bit. 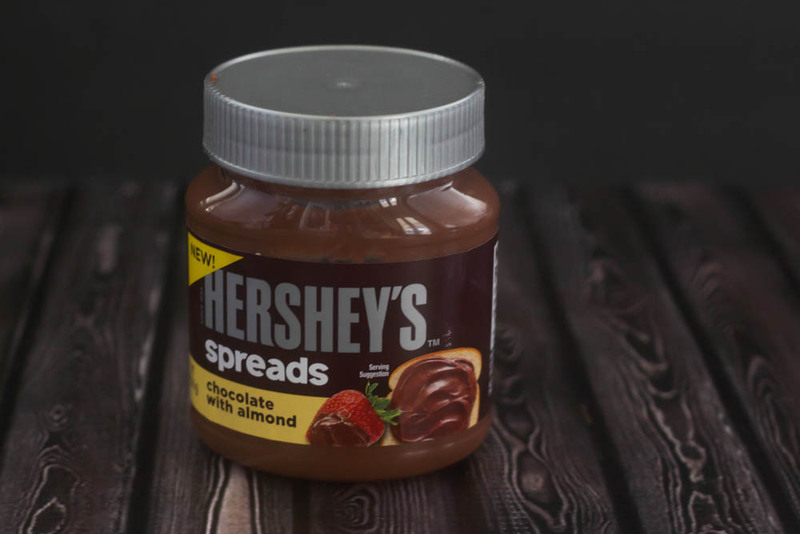 Hershey’s Chocolate Almond Spread. I am a sucker for chocolate covered almonds and this stuff just makes my addiction that much worse. I first purchased it just to see what they hype was all about, and I am so glad that I did. I put it on a banana to taste test it, and it was AMAZING! Then shortly after cracking open the jar of goodness, Hubby came home. I knew there would be a fight over this one. He is a chocolate junkie, and I knew that he would want some, and I did not want to share! But, I broke down and gave him a taste. Long story short, there wasn’t much left in the jar after he got a hold of it. So, I decided I need to act quick so I could take advantage of the rest of the yummy goodness. I decided to make macaroons and then drizzle some of the remaining chocolate on top. Hubby doesn’t like coconut, so I thought it would be a total win for me….. NOPE! Apparently he now loves Macaroons as long as they have Almond Chocolate Spread on them. I am pretty sure he would eat anything as long as it had this stuff on it. 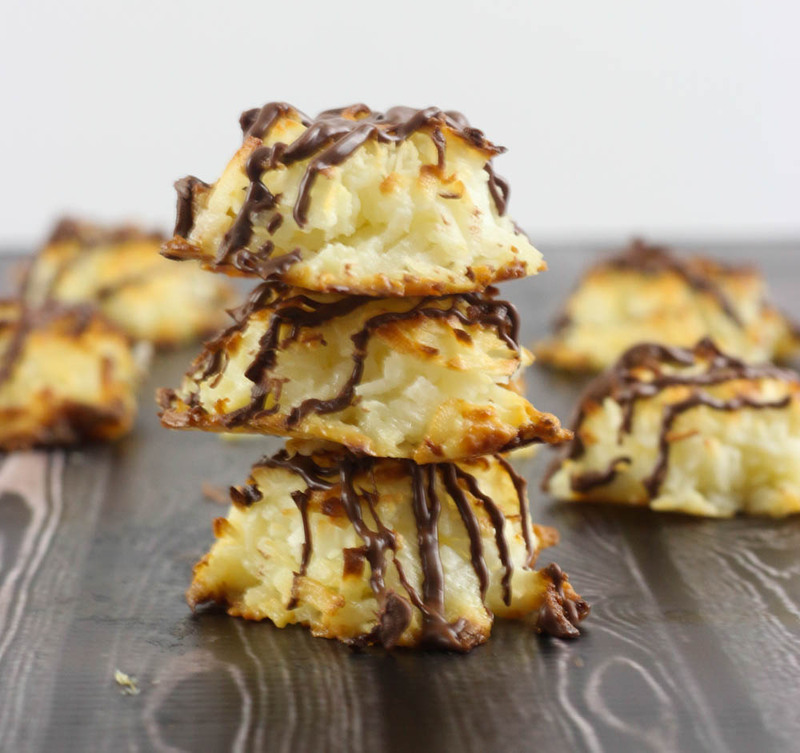 These macaroons were transformed into something that tasted a lot like an Almond Joy, but without the hard almonds. They are amazing! 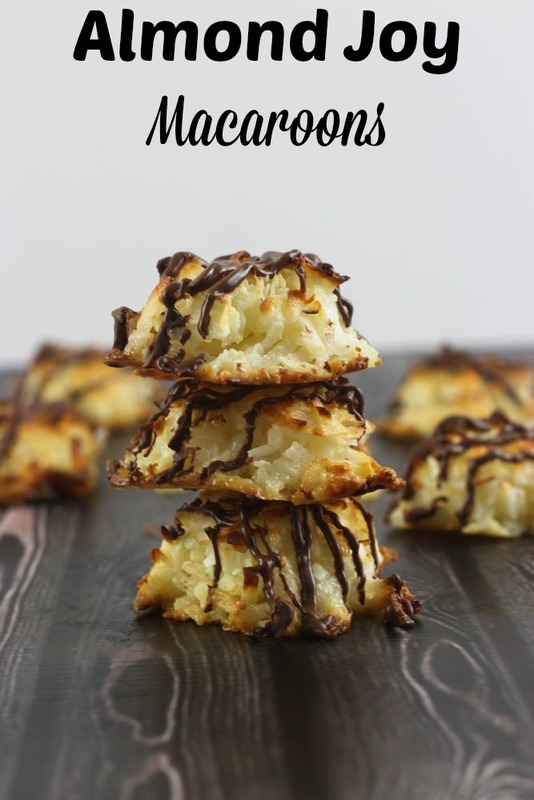 Who would have thought Almond Joy Macaroons. These are super simple, and only require 3 ingredients! In a large bowl, combine coconut flakes and sweetened condensed milk. Roll into 1 inch balls and place on lined baking sheet. Bake for 8-10 minutes or until light golden brown flakes appear. Allow to cool on baking sheet for 15 minutes. 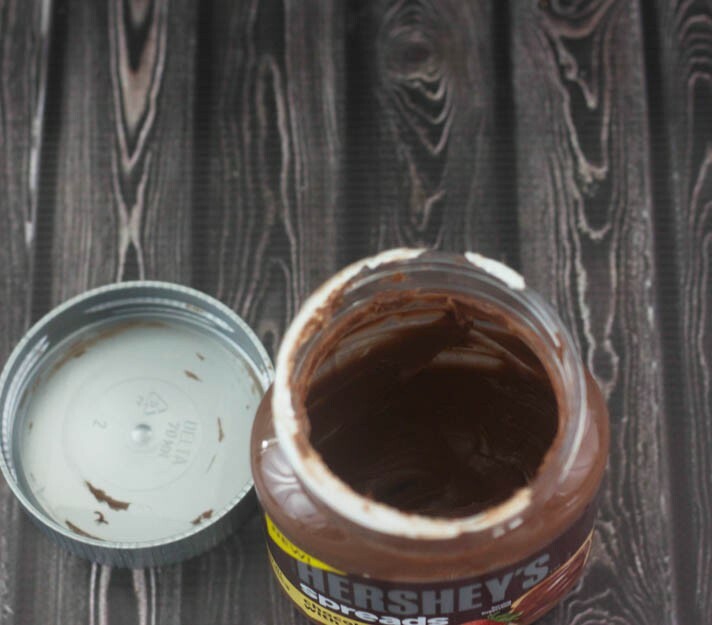 Place chocolate spread in a small microwave safe bowl and microwave for 10-15 seconds. 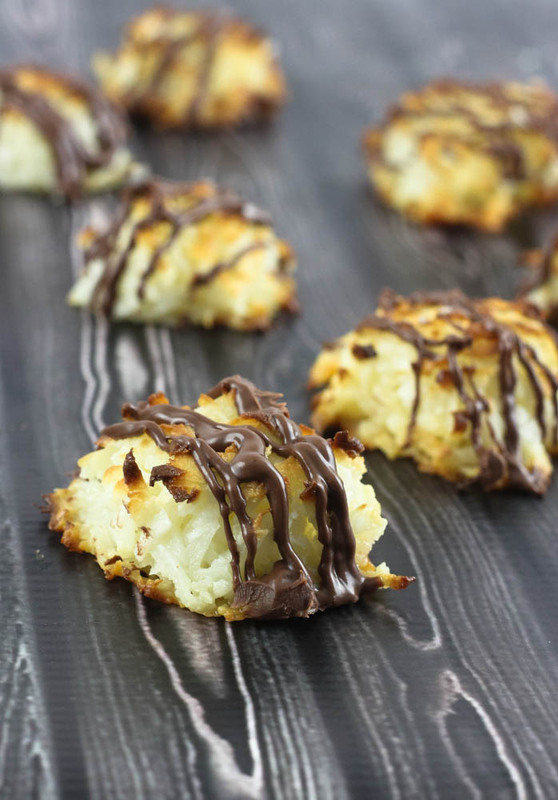 Drizzle heated chocolate over Macaroons. 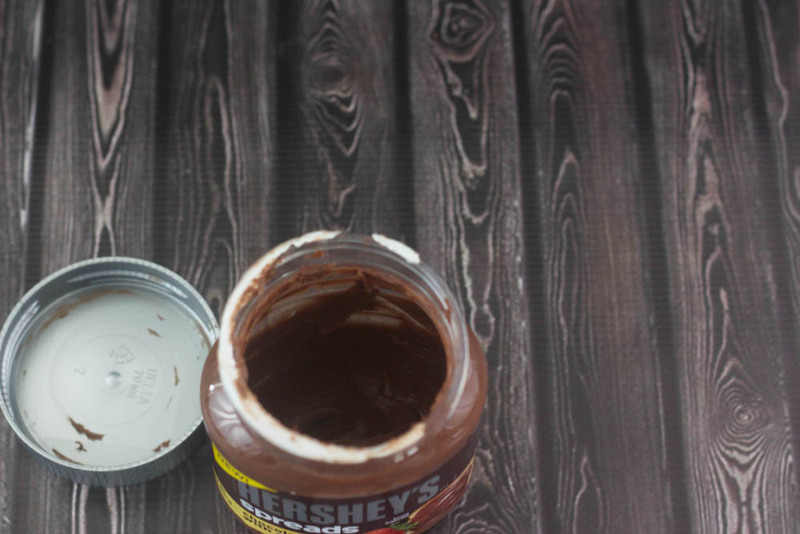 Allow to set for 10 minutes to allow chocolate to set. What is your food crack? 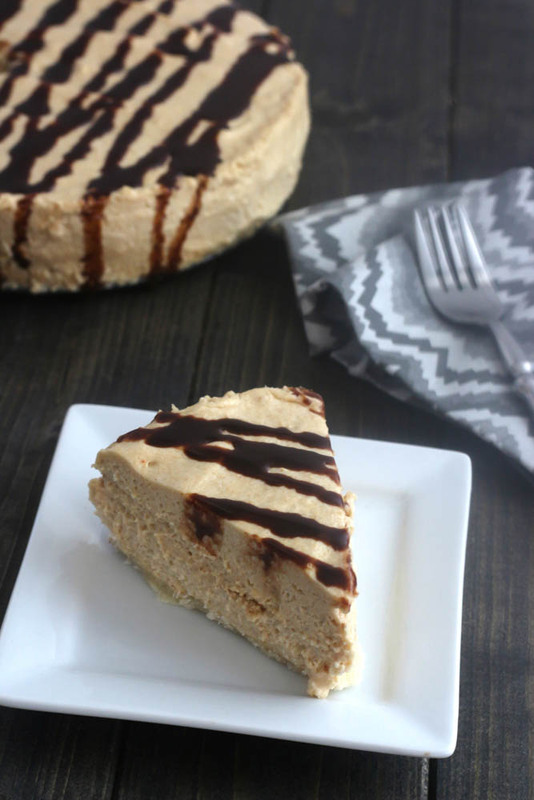 I am a self proclaimed peanut butter addict, and this peanut butter pie recipe does not help my rehab. Seriously, I can sit down and eat an entire jar of peanut butter in one setting and not even feel guilty about it! With the weather FINALLY warming up, I wanted something that was light and fluffy and didn’t weight me down after eating the entire thing, and this recipe does just that! 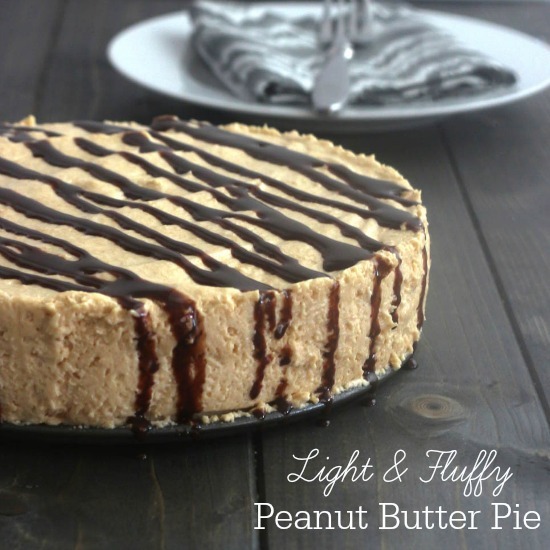 It is super easy to make, and and if you are a peanut butter addict like me, you will be making it…. A LOT! Drizzle some chocolate over the top, and you have heaven in pie form. 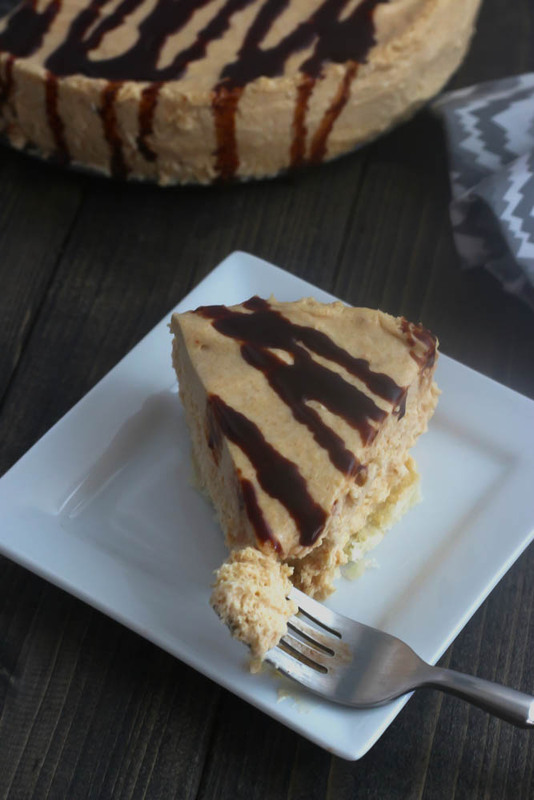 Light and Fluffy Peanut Butter Pie! Combine flour and salt. Cut in butter until no larger pieces remain. Add egg and 2 tablespoons ice water, combine until dough holds together when squeezed. Press into a 9inch spring form pan and bake at 375 degrees for 8-10 minutes or until edges are a light golden brown. In a large mixing bowl, combine peanut butter and cream cheese and mix well. Fold in Cool Whip and pour into spring form pan. You can also use a pre-bought crust or any other crust recipe for this. If using pre bought crusts, you will need two. 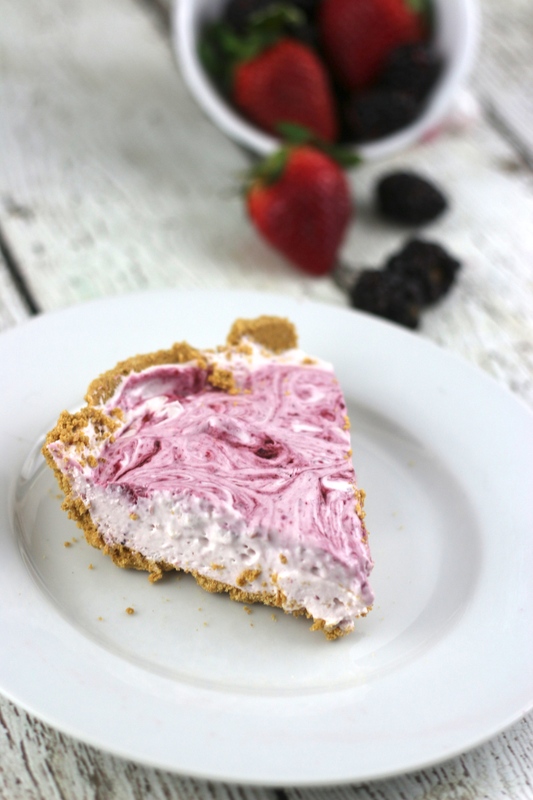 Very Berry Greek Yogurt Cheesecake! I LOVE cheesecake! The creamy, yummy goodness is just something that I can never pass up. Seriously, if I could eat it everyday, I would. The only problem with that is I don’t think my waistline would be a fan of my over indulgence of cheesecake. So, to make my mouth happy and keep my waistline happy also I decided to make a Greek Yogurt Cheesecake. You still get the creamy goodness of the cheesecake, but not all of the calories! Total win in my book! Combine the eggs, sugar, yogurt, fruit and vanilla and mix until smooth. 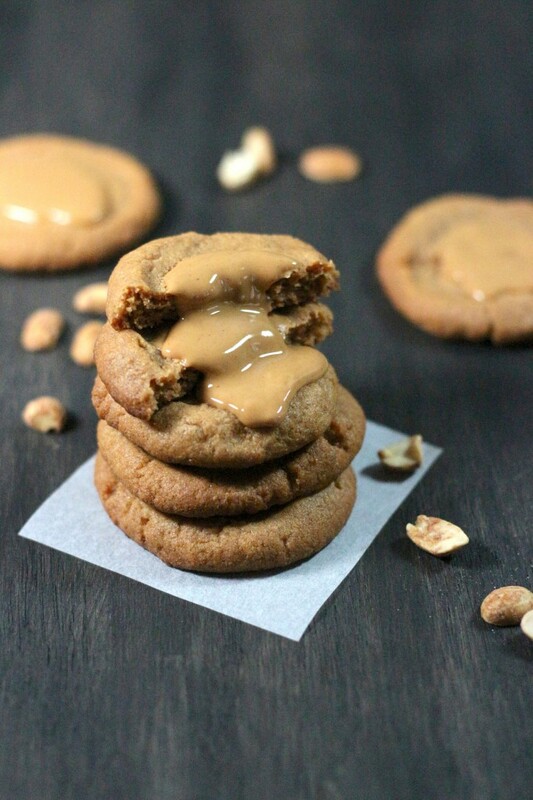 I am a sucker for peanut butter, and these gluten free peanut butter cookies are just to die for! The extra peanut butter makes them so gooey, and it seems the messier a food is, the better it seems to taste, and these are no exception! What makes these delicious morsels of goodness gluten free is that there is no flour of any sorts, and they only require 3 ingredients that you probably already have in your home! Ingredients: 1 Large Egg 1 1/2 Cups Peanut Butter, Divided 1 Cup Brown Sugar Directions: Preheat oven to 350 degrees. In a large mixing bowl, combine 1 cup of peanut butter, egg and brown sugar. Beat on medium speed until well combined. Roll dough into 1 inch balls and place them on a lined baking sheet. Using your thumb, press indentions into the center of each cookie. Take remaining peanut butter and add a tbsp each into each indention. Bake for 10-12 minutes or until edges are lightly browned. Allow to cool for 5 minutes on baking sheet before devouring them! 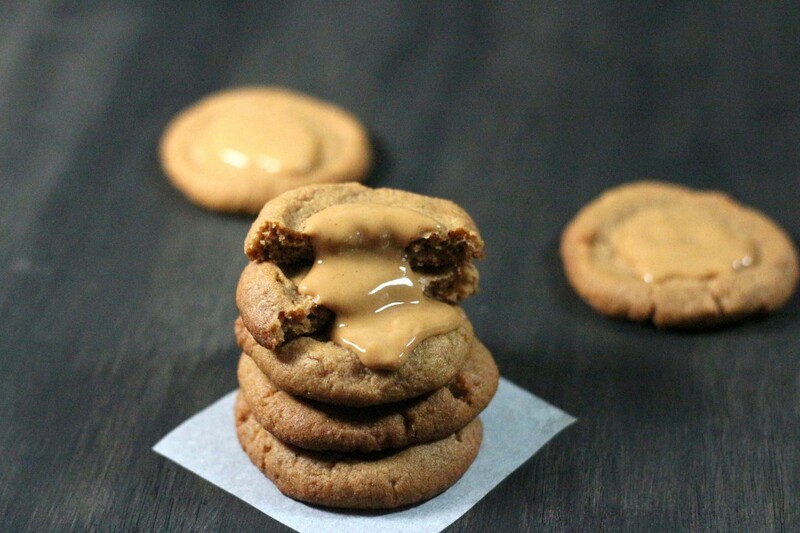 These cookies are at their best when served warm so that the peanut butter is gooey. Don’t worry though, if for some reason you have left overs, just pop them in the microwave for 10 seconds and enjoy them all over again! In a large mixing bowl, combine 1 cup of peanut butter, egg and brown sugar. Beat on medium speed until well combined. Roll dough into 1 inch balls and place them on a lined baking sheet. 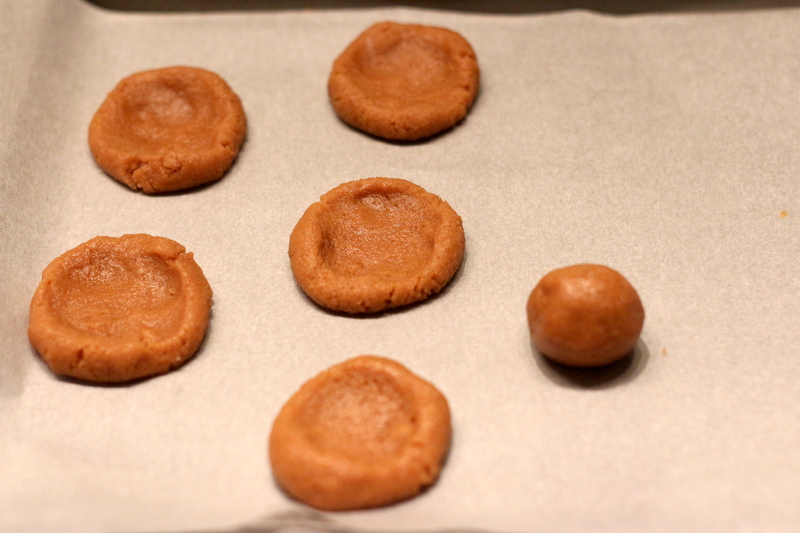 Using your thumb, press indentions into the center of each cookie. 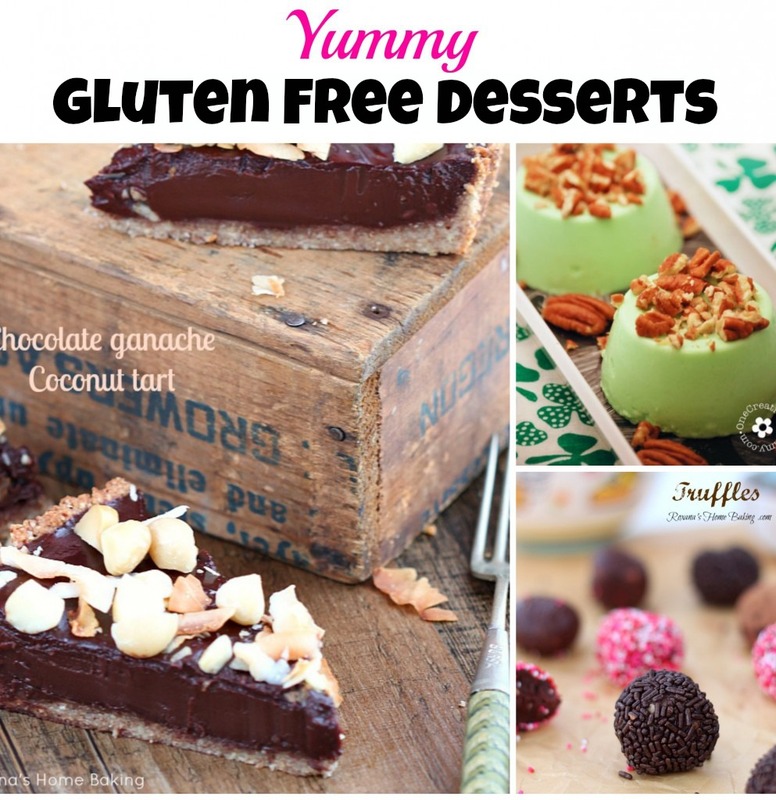 Gluten Free Desserts Round Up! I am not 100% gluten free in my lifestyle, I just can not seem to part with all things packed with carbs. Bread is my weakness, but I am sllloooowwwwllllyyyy trying to reduce my intake of it. I figure if I just replace bread with chocolate I will be good to go. But, being gluten free doesn’t mean having to sacrifice yummy goodness so here is a list of super yummy gluten free desserts that are a must try in my book! Be sure to check out our Gluten Free board on Pinterest for even more yumminess! Be sure to check back as I will be adding more great gluten free desserts to the list each week!